Daft Punk has announced that they are going to be opening up a pop-up shop; but this particular pop-up shop isn't just going to be a simple "sell some stuff and get moving" type of thing. It's also going to feature exclusive merchandise that is reportedly not going to be sold anywhere else. Group this with the recent collaboration with The Weeknd on Starboy, their prevailing presence in music, and an upcoming performance at the Grammys, Daft Punk are proving you don't really have to make your own music to stay relevant. You just have to have a strong career to lean on. 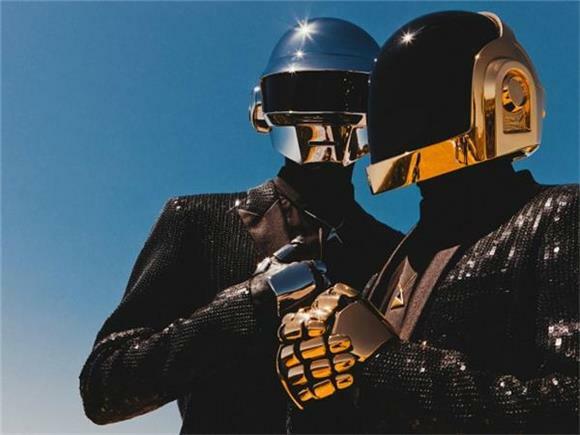 Daft Punk has put out 4 studio albums, 2 live albums, and a myriad of singles during their career, and they have proved themselves more than influential within the electronic music community. If they didn't release anything else, people would still be overjoyed with what's there. I was just listening to their Alive 2007 album and it almost made me cry, just because of how beautifully they morphed their tracks together. So if they want to work with The Weeknd on a couple songs, let them. "Starboy" and "I Feel it Coming" are his most streamed songs on Spotify right now, and overall some of the most successful hits of The Weeknd's career, who is currently the 2nd most streamed artist on the Spotify charts, and was the 1st a couple weeks back. And wait? Who's this towards the beginning of the video? They're doing fine is what I'm saying. Even with this minimal work on their own music though, they're still at the top of the electronic community. Last.fm has found that out of the thousands of artists in the electronic category, Daft Punk leads the pack by far of people that are still listening to them since Last.fm got started. It's been around since 2002. Even though people like Avicii and Calvin Harris may have more streams, we haven't seriously talked about them since the term 'EDM' was still growing. Daft Punk have existed, before and during that, and even flourished; with Random Access Memories sweeping the floor at the 2014 Grammys. And this upcoming performance at this year's Grammys is probably going to shoot them to the top of the charts once again, just by virtue of being talked about and being the subject of everybody's Twitter discussions at least for at least a week. Which, in internet time, is a long time. And speaking of social media, they've been absolutely killing it with their social media game without even dropping one piece of music. What makes it even more impressive though, is that it's not being propelled by any type of meme or viral hit, but merely the strength of their career. Most of these posts have been just them selling things things, which makes it even more amazing. Most would balk at the notion, and just say that the person is selling out; but for Daft Punk, their merchandise and how they present it looks genuinely awesome. Hence this pop-up shop. Hence why they're probably going to make a killing off it. Hence why I'm writing this feature without them having to release a single piece of their of their own music. Their legacy is just that strong.